Happy Handmade is a fantastic resource for any rainy/summer/snow day crafting with your children with 115 pages of fun projects made from materials you already have! Are you looking ahead to summer activities? What will the kids be up to this summer? I am busily planning away, both for my own spirit as well as the necessary planning for my kids' camp and other adventures. It's right about this time of year that we begin as a family talking about what each persons wants to do over the summer. In the minds of a 10-, 7-, and 5-year old, summer can still feel very distant. Last year I created this printable as a conversation starter. We're a pleasant mix of introverts and extroverts so I wanted everyone to have some time to think in their own time about the weeks of possibility ahead. Use this free printable to find out just what your kids WANT to do this summer. A great tool for a happy summer for all. As part of our Mommy and Daddy school every summer I'm really looking into diving head first into a new book from one of my favorite creative moms, Michelle of MollyMoo Crafts. A quick digital download with 115 pages of projects that are easy enough for me to love, and original enough for all my children to get excited. Happy Handmade is a MollyMoo book, in collaboration with 17 international crafting moms. It is packed with happy and imaginative crafts. My very favorite aspect of all MollyMoo projects is that they cost next to nothing because they are made from recycled materials, cardboard or scraps of fabric and wool. I don't have to search craft and specialty stores to find exactly what I need; supplies are readily found in a busy household. I'm planning on making this awesome rocket with my little guy. I have a feeling he'll want to create his own fleet of spaceships once we get started. Happy Handmade is a great resource to have around for any time! 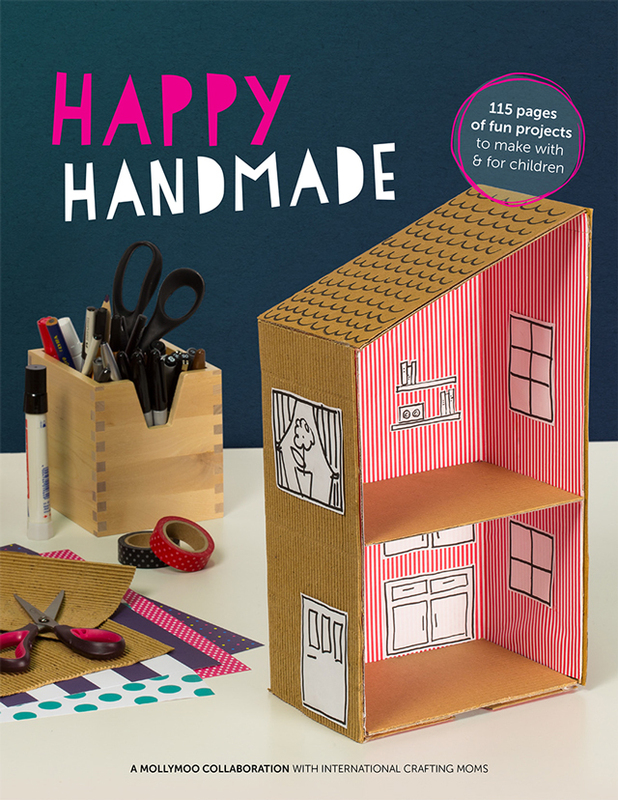 Download your copy of Happy Handmade here today! Tell me, where do you turn when you're looking for productive and imaginative activities for your children?